There are a lot of features and value packed into the Odyssey SE trim that would cost thousands more on other vans. The 2017 Honda Odyssey may be replaced soon to bring it in line with competitors. 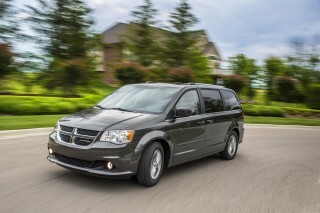 It's still a practical van with a plan, and indispensable for big families. The 2017 Honda Odyssey is likely riding off into the sunset this year—burger wrappers, pulverized cereal, lost Legos and all. A new van replaced it for 2018, but regardless of generation, the Odyssey stays as one of the most versatile and comfortable family vehicles on the road. Starting at just over $30,000 for a base LX model, the Odyssey is offered in EX, SE, EX-L, Touring, and Touring Elite trims that can top more than $43,000. New for 2017, Honda has added sound-insulating windshields to more models and has made available on more models family features such as rear-seat entertainment systems and in-car vacuums. 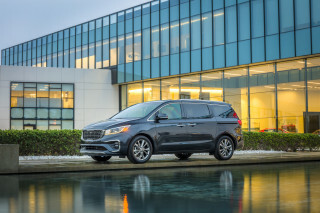 Most minivan buyers place an emphasis on versatility and comfort before style and performance, but thankfully Honda has put thought into all of the above. The Odyssey's shape is well-known by now: it's the one-box van with a so-called "lightning bolt" along the side. That character line actually serves a purpose (it helps with rear-passenger visibility) and fits with the overall shape. We like the front bumper, and the back hatch is a little chunky, but not wholly offensive. Inside, function trumps form, although the bigger knobs and controls are better here than touchscreens and finicky sliders. A straightforward layout may not give many passengers much to look at, but that's what rear-seat entertainment is for, right? The Odyssey carries forward with the same powertrain as before, a 3.5-liter V-6 mated to a 6-speed automatic. 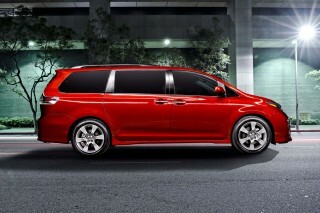 The V-6 churns 248 horsepower and 250 pound-feet of torque and motivates the Odyssey up to speed without much of a fuss. Although Honda has more advanced transmissions on the shelf, the 6-speed in the Odyssey stays the same this year—along with its indecision while cruising. Despite powertrain quibbles, the Odyssey manages decent roadholding with an agreeable suspension setup and good power steering. The Odyssey manages 22 mpg combined, according to the EPA. That's right in line with the competition, except for the plug-in hybrid Chrysler Pacifica. Here's the Odyssey's wheelhouse. With seating up to eight and creature comforts aplenty, the Odyssey carries, fetches, moves, and transports like a champ. Adults can fit in any of the van's eight seats with relative comfort thanks to adjustable seats. Rear seats are a 60/40-split folding affair in the third row, and the Odyssey can open up to swallow more than 90 cubic feet of gear when all the seats behind the first row are gone. The Odyssey sports some of the convenience features we like to see in a minivan: an in-car vacuum, rear-seat entertainment, and even a rung to hang a trash bag. Odysseys were built for families, and it's clear that designers listened to their customers. The Odyssey earned good scores from federal and independent testers, but the van lacks some of the advanced features that others are beginning to offer. Forward collision warning and lane-departure alerts are available, but mostly in top models. All vans have a standard complement of airbags, and the IIHS rated its LATCH child seat connectors as "Acceptable" for ease of use. Base LX models aren't slouches in brute-force value at just over $30,000 to start. Each model comes standard with air conditions; power windows, locks, and mirrors; seating for at least seven; a rearview camera; Bluetooth connectivity; power adjustable front seats; steering wheel-mounted audio controls; USB connectivity; split-folding third row; and an 8.0-inch display for audio. Higher trims add leather, rear-seat entertainment, in-car vacuums, second- and third-row sunshades, and power liftgate, but not many a la carte items are available. The van can get pricey in top trims, but this year's SE model could hit a sweet spot for shoppers looking for rear-seat entertainment and a vacuum without springing for leather seats. Lightning bolt-style window line and all, at least the Honda Odyssey is trying. Style isn't the first consideration of minivan buyers—it ranks down there with easy to find roll cage mounting points—but at least the 2017 Honda Odyssey doesn't penalize buyers. That so-called "lightning bolt" can be a little polarizing, but it's also functional. It affords better visibility for rear passengers and it speaks of how the entire design balances one-box practicality with a good sense of style. Small bits of brightwork and a more arched roofline found their way to this generation of the Odyssey, and in addition to that distinctive beltline crease, there are small windows ahead of the side mirrors, which make the Odyssey look a little futuristic while adding a smidge of visibility for front occupants looking out. In back, the look is more flared and sculpted than typical for a minivan, giving this model an aerodynamic edge and a bit more visual excitement. It's slightly wider than typical, too, which translates to a more planted look (and more interior space). Inside, the Odyssey is more function, less form. The instrument panel is familiar and upright, with a simple approach to its layout than other Honda or Acura vehicles. It eschews the touchscreen-mania for more knobs and controls for easier use, which we appreciate. Although the placement of the infotainment controls near the shifter could take some getting used to. 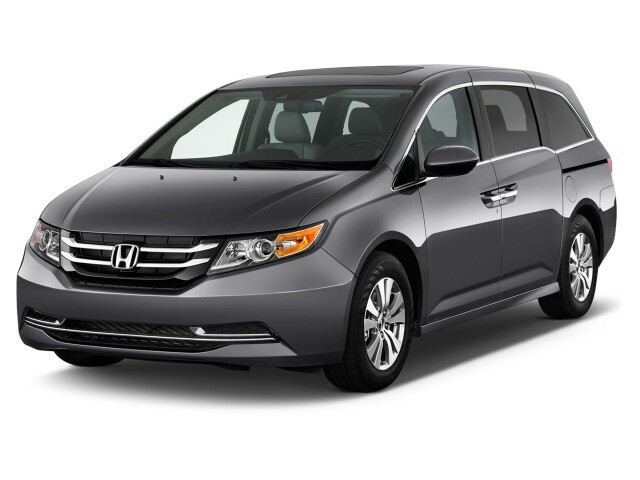 You won't be wowed, but you will get there in the Honda Odyssey. Performance isn't the 2017 Honda Odyssey's bag, but most buyers won't be disappointed in day-to-day driving. All Odysseys are the same under the hoods and sheet metal, a 248-horsepower, 3.5-liter V-6 is teamed to a 6-speed automatic and front-wheel drive. While other Honda vehicles such as the Pilot and Acura MDX and TLX get a 9-speed, the Odyssey stands firm with six forward gears. It delivers decisive, quick, smooth shifts while accelerating hard, but can be a little balky while cruising and lightly accelerating. And with only an lower-gear mode and an O/D-off button on the gearshift selector, there's no straightforward way to simply control shifts when you're on a mountain road. The Odyssey gets more of its road manners from the Accord than it does from the Pilot. 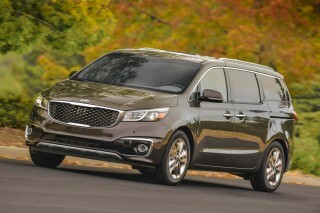 We've found that the minivan corners with poise and control but not much harshness as a trade-off; that's because of well-tuned, isolated front and rear subframes that help avoid the queasy secondary motions that plague many big, family-hauling vehicles. We've also found that the variable power rack-and-pinion setup for the Odyssey's steering has a good, natural weight to it with even a hint of feedback. It's among our favorites across the Honda lineup. The Odyssey shines in comfort, capability, versatility, and flexibility. Why don't more people drive minivans? Minivan owners already know what the world seems to be forgetting: Vans are rolling living rooms and the only way to take long, family road trips. The 2017 Honda Odyssey is built on versatility, comfort, and flexibility for interior space. All three rows—which can seat up to eight adults—can slide fore and aft, and the rear two rows can get out of the way for hauling versatility. We'll stop short of saying the Odyssey's front seats are the best in class, but they're not bad either. They're relatively wide and all-day comfortable, but we would have liked a little more back and lateral support for long trips. Second-row passengers get the same amount of leg room as front-row passengers (40.9 inches) and the seats can actually slide outward, changing the width depending on whether there are two adults, three passengers, or a combination of child seats. There are now five sets of LATCH connectors for child seats, which the IIHS rates as "Acceptable" in terms of ease of use. The third row is mildly comfortable for average-sized adults on short trips. The seat feels rather low and the cushioning is definitely a step below what you get in the other rows, but in some trims it gets an armrest, and the folding mechanism is very well-designed, with a spring mechanism making it easy to do for either half with a single arm, in one fluid motion with only the firm pull of a strap. 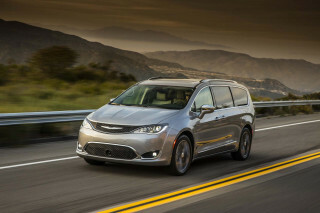 By the numbers, there's 118.1 inches between the wheels (which is the same size as the Nissan Quest, but 3 inches shorter than the Chrysler Pacifica) and 202.9 inches bumper to bumper. Behind the third row there is 38.4 cubic feet of cargo room or 93.1 cubic feet with the seats folded. Max out on capability and fold the second row, and there's 93.1 cubes which is enough space and a continuous cargo floor good for two 10-foot-long, 2-by-4 studs, or 4-by-8 sheets of plywood. For smaller items, there's a media drawer with damped motion, a cooler compartment that can hold several cans or bottles, and a trash-bag ring—one of those simple things you'll wonder how you've managed without. Interior materials and trims aren't in the luxury realm, but they're not bad for also being Wet Wipe-friendly. Overall, the Odyssey's cabin is a surprisingly quiet, refined space. Some high-tech wizardry helps serve that impression; active noise cancellation and active engine mounts both work to quell vibrations from the engine's fuel-saving cylinder deactivation, while the former also temps to quash excess road noise. The Odyssey keeps pace with others in crash safety, but is starting to lack some advanced features found on others. The 2017 Honda Odyssey keeps pace with other safety-focused vans, but is starting to lack advanced features found on competitors. The IIHS called the van a Top Safety Pick in 2016, which should carry over for 2017. Federal testers gave it a solid five-star overall ranking (out of five) including a four-star result in the calculated rollover score. EX-L trims and above include lane-departure and forward-collision warning systems. To get blind-spot monitors as well, you'll have to buy the most expensive model, the Odyssey Touring Elite. Not only is the Odyssey safe in an accident, but also both its handling and visibility are excellent, which can both aid in accident avoidance. All Odyssey models offer standard Bluetooth as well as a rearview camera, while the LaneWatch sideview camera—which shows a camera view along the right side of the car when the right turn signal is activated—comes on all but the base LX model. The entire lineup now includes five LATCH locations (the official clips). What that means is that you can fit up to five child seats in some cases—or up to four seats of any kind. 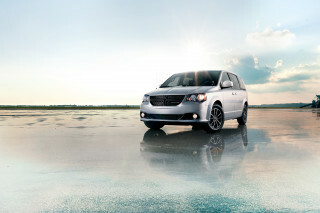 Most vans are equipped with the family features you need; top-level vans are equipped with the features you want. Choose carefully. The 2017 Honda Odyssey is offered in a wide range of trims that improve slightly on each other, with a few key options reserved for pricier trims. Starting with the LX, the Odyssey steps up to EX, SE, EX-L, Touring and Touring Elite Trims. EX-L trims are broken out into models that offer navigation or rear-seat entertainment packages. New for 2017, Honda has added a sound-insulating windshield to more models, and has made available forward collision warning, in-car vacuums, and rear entertainment systems in more models. Like other Honda vehicles, few features are available as a la carte items outside of trim levels. 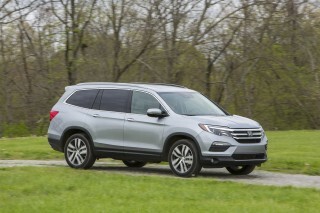 Honda's EX model adds Honda LaneWatch that notifies drivers when they're drifting out of a lane, power sliding rear doors, tri-zone automatic climate controls, keyless ignition, Honda's HomeLink remote system, rear window sun shades, seating for eight, an upgraded stereo with streaming internet radio and a touchscreen. Odyssey SE models add the acoustic windshield, in-car vacuum system, rear-seat entertainment, a household-type power plug, and XM radio. At nearly $35,000, these models are compelling values for families who need a comprehensive list of features to pacify entertain children on long road trips, but don't necessarily need leather and other creature comforts found on top-level trims. EX-L models add a suite of advanced safety features such as forward collision warning and lane-departure warning, leather upholstery and leather-wrapped steering wheel, a power moonroof, heated front seats, and a power tailgate. Packages on the EX-L model can add rear-seat entertainment or navigation for $1,600 or $2,000 respectively. Interestingly, EX-L models skip the integrated vacuum. Touring trims go for the full boat: 18-inch wheels, 10-way power adjustable front seats, body-colored exterior trims, and interior lighting. Touring Elite vans are for families who need everything including the vacuum, rear-seat entertainment, premium audio, HD radio, and blind-spot monitors. Those models run well over $43,000 to start. The HondaVAC system, that's available only on the Touring Elite, was co-developed with Shop-Vac. This powerful integrated vacuum cleaner is located on the left side of the cargo compartment, with accessories and nozzles included. It's hard-wired to the vehicle's electrical system, so it never needs to be charged or plugged in. The navigation system available in EX-L models and up has an especially clear, intuitive display, and we like the controls better than the systems in some of Honda's other models; it has a built-in Zagat guide, a huge point-of-interest database, a high-contrast VGA display, and free FM-based traffic information. The Odyssey is on par with many other minivans, and can be better than many SUV substitutes. It may have given up the crown last year, but the 2017 Honda Odyssey manages to be among the leaders in fuel efficiency among minivans. 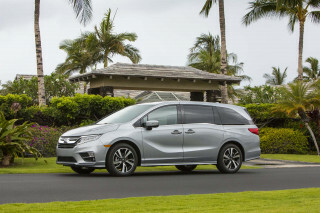 The Honda Odyssey is mono spec, meaning unlike the Toyota Sienna (all-wheel drive) or Chrysler Pacifica (plug-in hybrid), there's just one set of numbers looking back at you on the window sticker. The Odyssey's 22 mpg combined is the same as the front-drive Sienna and Nissan Quest, and slightly higher than the Kia Sedona's mark. 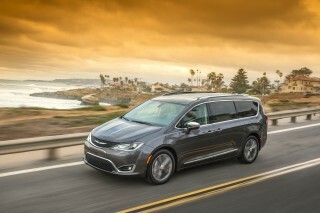 Only the hybrid Chrysler Pacifica is significantly higher at 32 mpg combined, but the regular version is rated at the same 22 mpg. 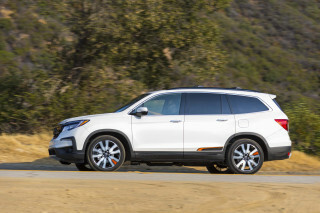 If all-wheel drive is a must and you're not impressed with the Sienna, it's worth noting that the spacious Honda Pilot gets 22 mpg combined with all-wheel drive and a 9-speed automatic, although we've had a tough time meeting that number in real-world driving.